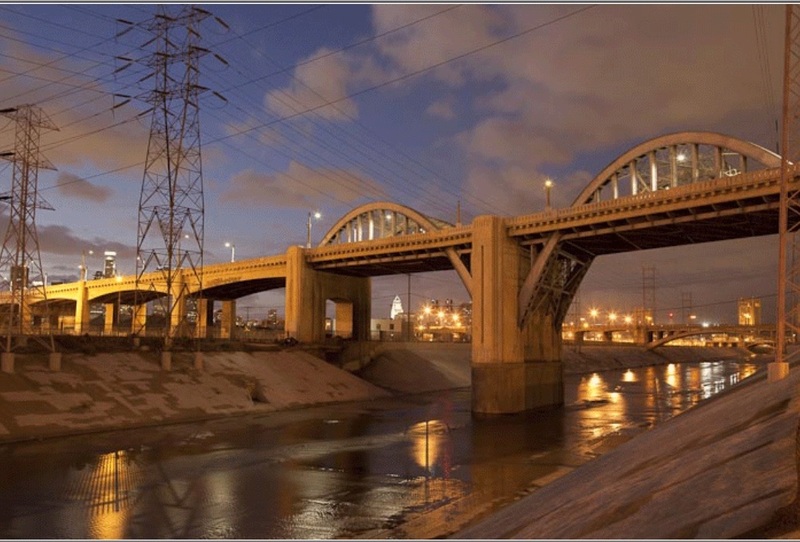 The Los Angeles River runs over 50 miles through the heart of a metro area populated by 10 million people. Yet in a place where water is such a precious commodity, hardly any of the inhabitants know the river’s history, where it begins or ends, or its current function. In fact, the patchwork of governments and agencies that control the river make it almost impossible to access it without trespassing. No other American city has so completely turned its back on such a resource. Most see it as a hideous scar on the landscape, a polluted dystopian highway through the heart of urban darkness. Yet, it is also a rich cultural canvas of striking visuals and unlimited potentials. Join photographer Peter Bennett (www.greenstockphotos.com) as he takes you along an incredible, picturesque 10-hour river adventure, designed specifically for photographers. Peter’s intimate knowledge of the river and its history allows him to assist fellow photographers in finding unique and undiscovered places to shoot, all while providing technical help and great fellowship. Please make sure to see a slideshow of Peter Bennett’s work on the Los Angeles River published through Grist.org. Skill/Experience level: Students should have a working knowledge of their camera and the ability to shoot in manual mode. A basic understanding of photography fundamentals is required. *Fee includes: Hands-on instruction and guidance, a docent, access to all locations, bus transportation throughout the day, lunch at Hop Louie in Chinatown, and snacks & water. This blog is really a labor of love as it will be a place to showcase photos of my favorite subject, a place I have been going back to for years now and still find something new and exciting to shoot (with a camera) each time. It will also be a place to teach about photography, the classes and workshops I have been leading have been going great and this will be an opportunity to supplement them and have some fun doing it. If you get a chance, take a visit. If you like it, please support it by subscribing, and if you know someone else who might be interested, please spread the word.